Are you ready for the resort 55+ ultimate lifestyle? 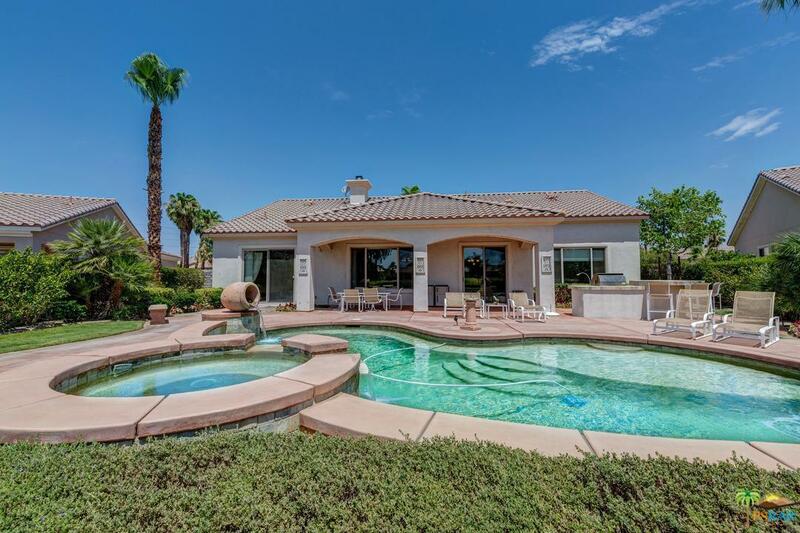 Indoor/outdoor entertaining at its best w/ 3 BD, Den & 3 BA, San Rafael located on the absolute prime location on an oversized parcel (1/4 acre) in Sun City Shadow Hills off the tenth green. 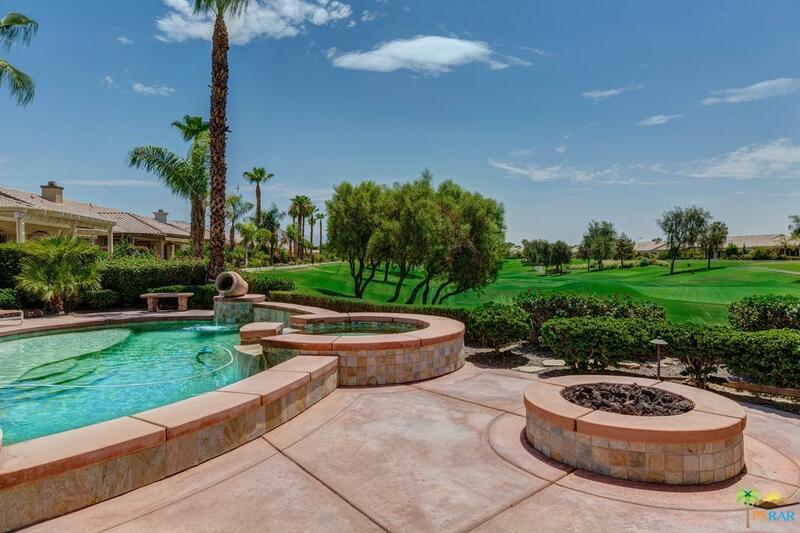 Southeast facing backyard, large enough to host 45+ seated guests showcases: saltwater, Pebble Tec pool & spa w/ custom waterfalls, built-in BBQ, fire pit, sun dial, misters & sprinkler system. Kitchen features new stainless steel appliances, granite counter-tops, kitchen island w/ sink facing out to a large warm & inviting great room with an inviting fireplace. 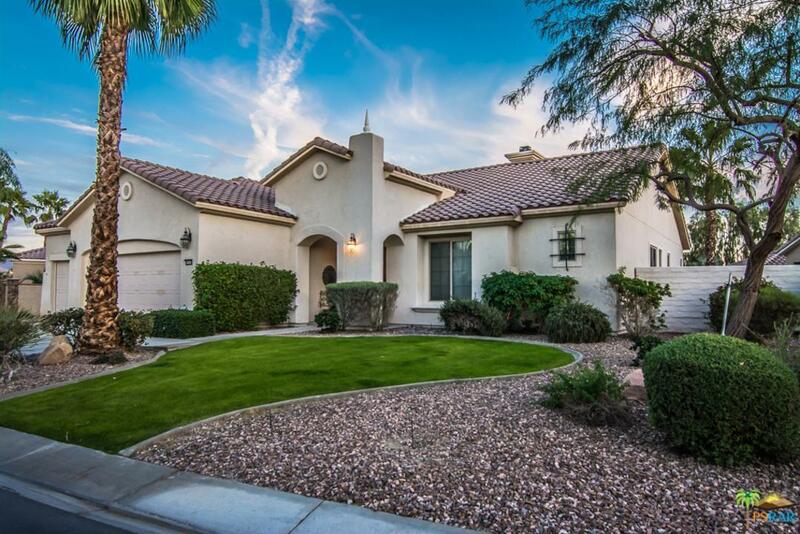 Fresh paint throughout, crown molding, custom lighting, Hunter-Douglas window treatments, tile throughout & new carpet in living room, office and master. Master suite has a garden tub, shower, twin sink vanity & a large walk-in closet w/ custom shelves. Welcome Home. Sold by Robin Bass BRE#01936115 of Dilbeck Real Estate. Listing provided courtesy of Meda Thompson DRE#01936115 of Berkshire Hathaway Homeservice.